You’ve requested more Phnom Penh gym reviews, and I’m here to deliver. 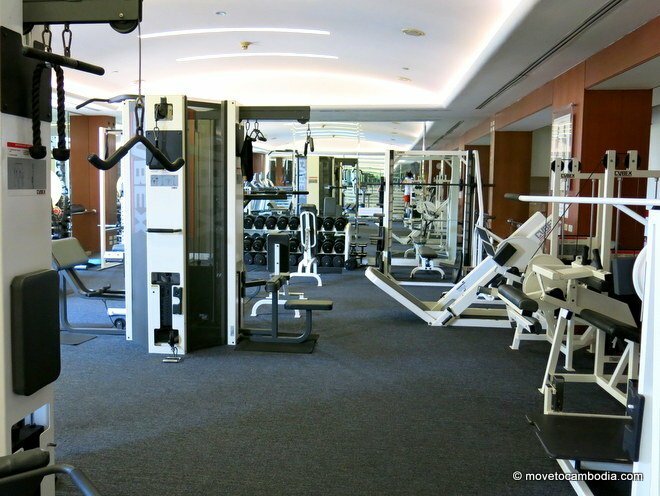 When I first moved to Phnom Penh I joined the gym at the Great Duke (formerly the Intercontinental Hotel). The Great Duke gym is seriously underrated and probably Phnom Penh’s best value, high-end gym. Fredrik is happy to show you how to get muscles as big as his. 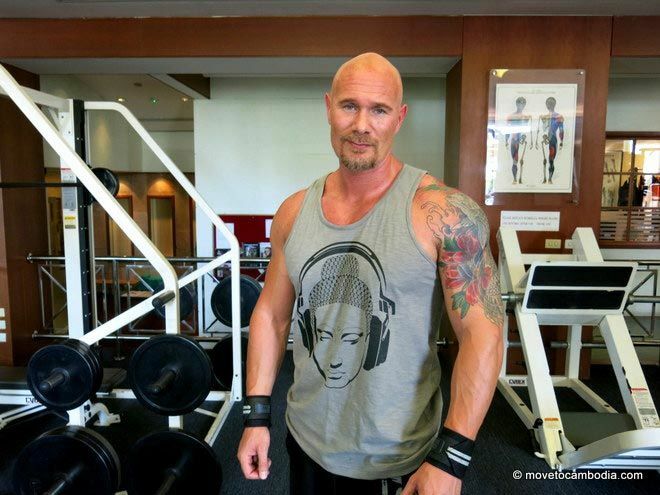 The gym was set up by Fredrik Carlswärd and Maria Ahlberg, married Swedish bodybuilders and fitness freaks. They are no longer there, but are the reason that the Great Duke gym is so great–it’s was put together by people that actually work out! So while the gym is small, it has everything you need to get fit. The staff at the Great Duke gym are all actually into fitness; they’ve hired Cambodian bodybuilders to help out which means they actually know how to use the gym equipment and can help out newbies (something that most of the other gyms in town can’t boast). There are also yoga and core classes in their attached studio. The locker room is one of the perks, featuring a sauna and a not-crowded locker experience. You can also rent yearly lockers for $30, which is handy if you don’t want to carry around your gym shoes and shampoo all the time. Gym membership includes the perk of getting to lounge by the InterCon’s lovely pool. Gym membership also includes access to the Great Duke’s pool, which is undeniably lovely, and they also lend nice beach towels for the pool instead of gym towels, which is a nice touch. Prices are good, relative to other options in town. With The Place Gym, if you don’t sign up for a full year you end up paying out the nose, but the Great Duke offers many reasonably priced short term offers. One year is $850, although if you’re willing to go during off-peak hours it’s only $510. Six months is $500 for peak time or $300 for off-peak and three months is $290 or $175 off-peak. They also offer discounts for corporate groups and couples. One-year memberships also include 10 one-day passes for family and friends, and 10% off when it’s time to renew. The positives outweigh the negatives, but as always there are negatives. For one, the location; the Intercontinental isn’t particularly central, but if you’re living in that part of town it’s not a problem. I only stopped using this gym when I moved. And while there are a fair number of cardio machines, four each for treadmill, elliptical, and stationary bicycles, there’s a 30 minute limit during peak hours because it can get crowded. And finally, the day pass cost is ridiculously expensive, $40 to use the gym and the pool (and I thought The Place was bad at $15 a day!). But overall, the gym at the Great Duke is still one of the best options for people living in southwest Phnom Penh and it offers very good value for money. If you’re looking for a high-end gym and can go during the day, this is the best rate you are going to find in town. The gym is open 6 a.m. to 10 p.m. Monday through Friday and 6 a.m. to 8 p.m. Saturday and Sunday. 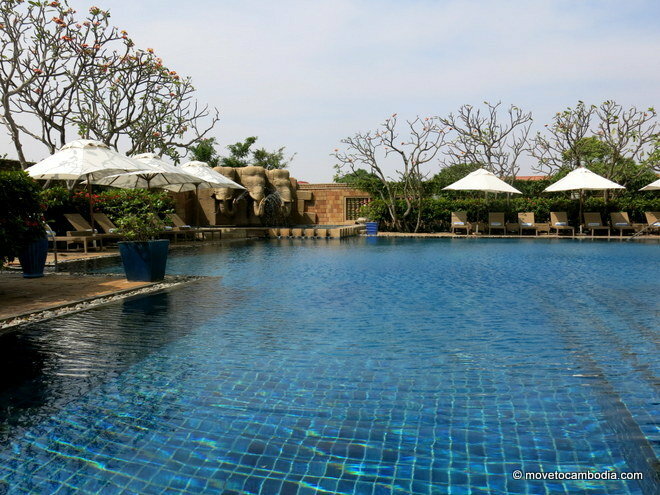 This entry was posted in Health & Safety, Phnom Penh and tagged InterContinental Hotel, fitness, Phnom Penh gym reviews, Phnom Penh gyms, InterContinental Fit4Life Gym, gym reviews, The Great Duke. Bookmark the permalink. Hello everyone ! Can you recommend me a khmer-style gym club for 2000 riels to 1$ per day ? I know many gyms clubs in Siem REap for this price but I don’t find one in Phnom Penh ! Thank you.